If you’re in the market to purchase your very first Rolex but are concerned about the price, fret not. There are plenty of models well suited for first-time Rolex buyers. Case in point is the Rolex Date model, also known as the Rolex Oyster Perpetual Date. 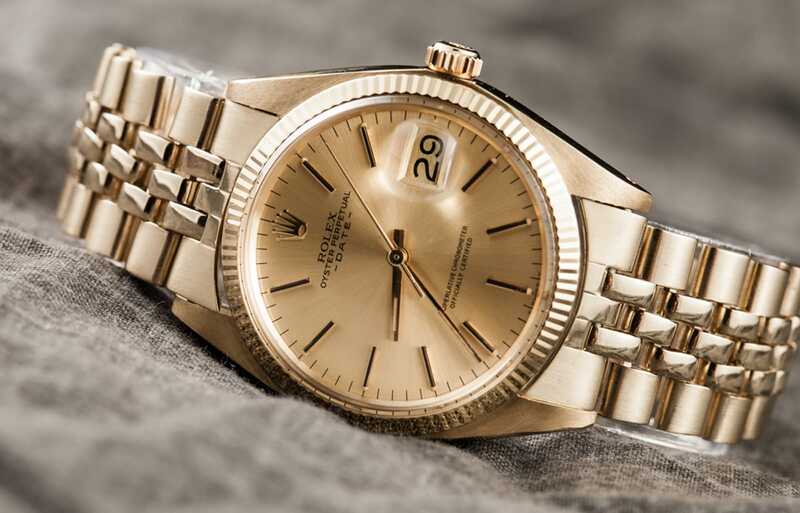 Although it is sometimes confused with the Datejust, the Date is a separate collection entirely. 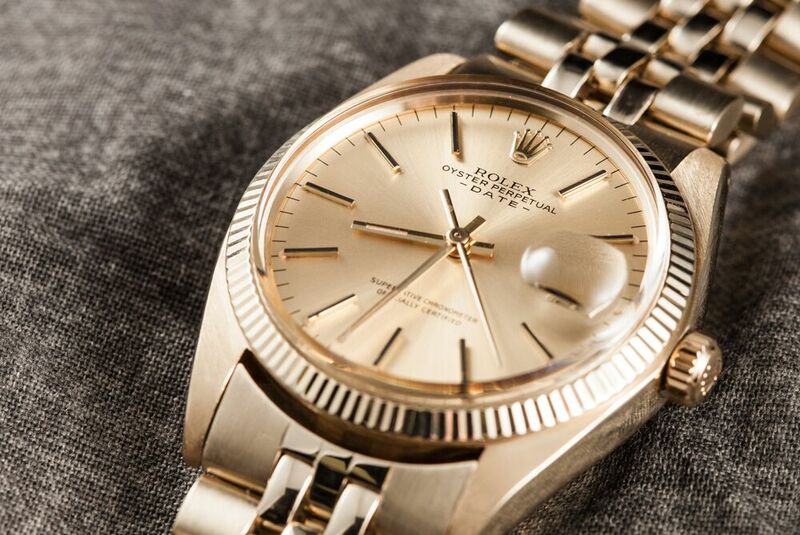 The Rolex Date is actually in between an Air-King (previous versions not the current one) and a Datejust. Let’s find out why. 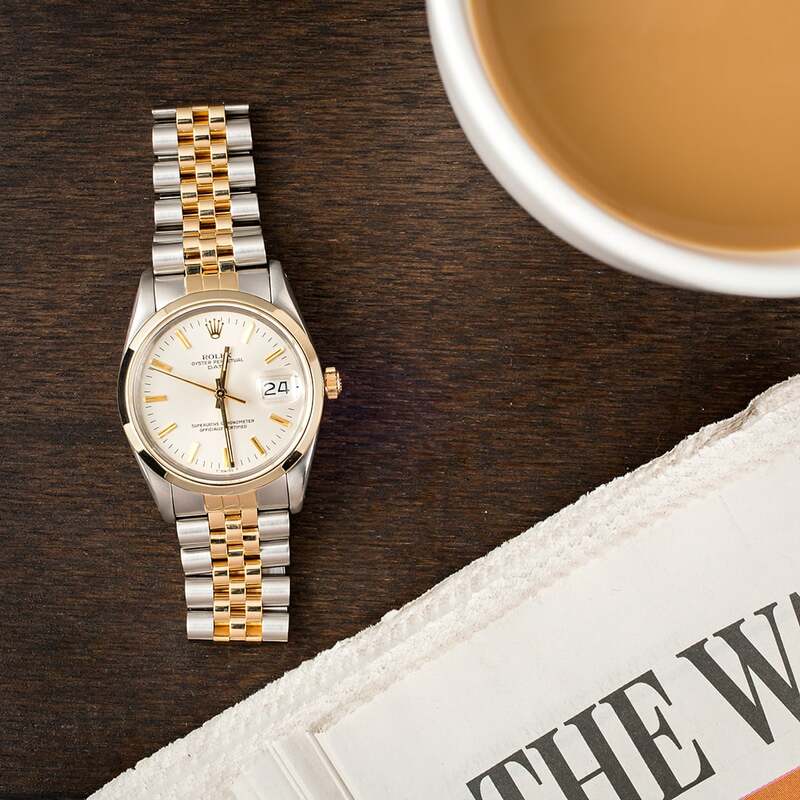 The Rolex Date 1500 with a linen dial is an affordable Rolex and a great first watch. 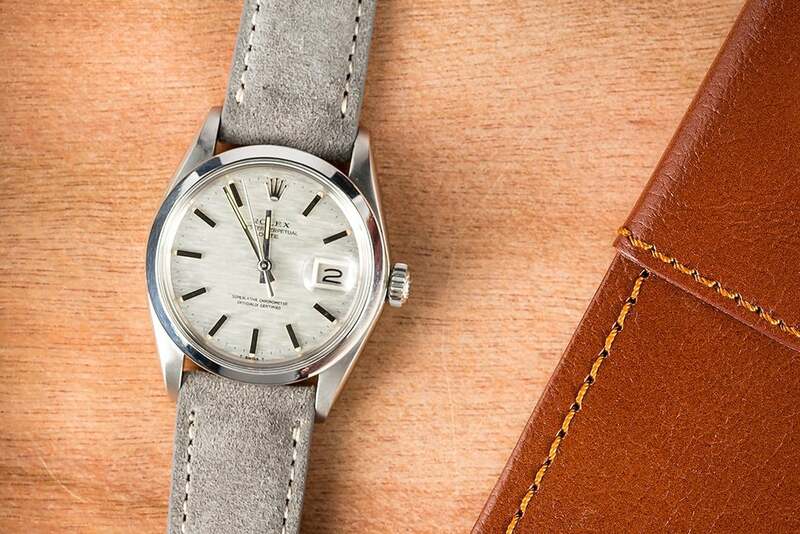 The Rolex Date made its debut in the 1950s—following the 1945 launch of the Datejust. While both models featured an Oyster case, a date window, and a Cyclops lens on the crystal, there are some fundamental differences between the two. The design of the Rolex Date 1503 is fairly simple and clean. It comes with the date, and a cyclops.